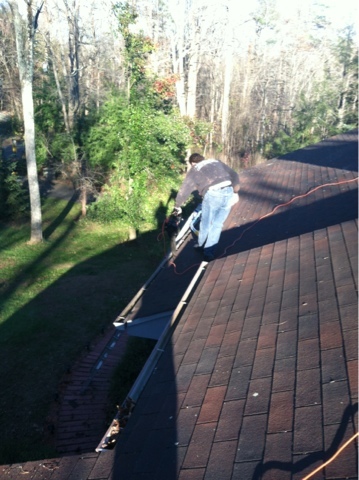 Gutter Cleaning | Shaboo CT Cleaning LLC. 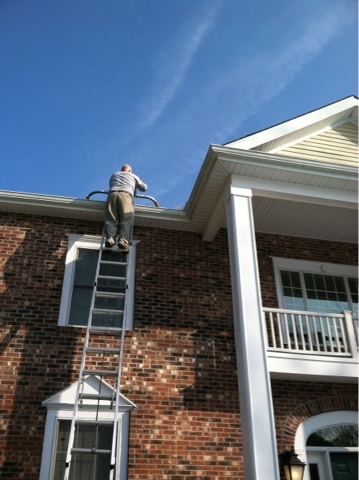 Gutter Cleaning – Shaboo CT Cleaning LLC. Our gutter cleaning services can help you prevent thousands of dollars in damages to your home from water not being able to drain! We highly recommend AGAINST installing gutter guards over your gutters, especially, if you have pine trees in your yard. 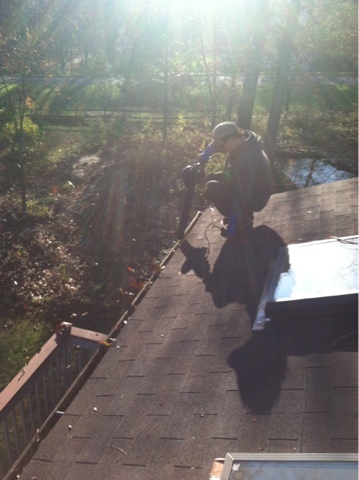 Leaves and debris collects on the top of most gutter guards and restricts water flow to your gutters. When rain is heavy, gutter guards restrict the flow of water into your gutters. They overflow and erode your property and damage wood frames etc. When gutters are FULL of leaves and water the weight can loosen up nails, to where the gutters will pull away from the house, causing unnecessary expense in repairs. Our gutter cleaning prices include removing debris from your roof, gutters and downspouts and then flushing with clean water! Summer, to remove debris that can cause roof damage from spring storms and natures reproductive cycles. Early Winter or Late Fall, to remove remaining leaves and debris to help prevent ice dams.